https://baystatemovementacademy.com/wp-content/uploads/2018/07/New-BSMA-Logo-277x300.png 0 0 pdstephens271 https://baystatemovementacademy.com/wp-content/uploads/2018/07/New-BSMA-Logo-277x300.png pdstephens2712019-03-25 01:30:272019-03-25 01:30:30April Vacation Clinics Now Enrolling! 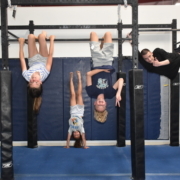 Is your child interested in expanding their parkour and freerunning experience to a competitive level? Then join us on December 28th for the first ever Bay State Jingle Jam! We will be closed for Thanksgiving 11/22. If you have a class scheduled for this day you can call us at (774)-328-9026 or message us HERE to schedule a makeup class! https://baystatemovementacademy.com/wp-content/uploads/2018/07/New-BSMA-Logo-277x300.png 0 0 pdstephens271 https://baystatemovementacademy.com/wp-content/uploads/2018/07/New-BSMA-Logo-277x300.png pdstephens2712018-10-23 20:30:232018-10-23 20:30:23New Monday Classes! 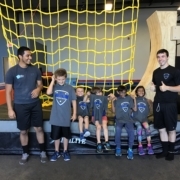 https://baystatemovementacademy.com/wp-content/uploads/2018/07/IMG_0108.jpg 2448 3264 pdstephens271 https://baystatemovementacademy.com/wp-content/uploads/2018/07/New-BSMA-Logo-277x300.png pdstephens2712018-09-23 17:22:122018-09-25 22:32:12Grand Opening September 30th!